Today, I introduce you a fabulous company called "Molecule". They make great cargo pants and shorts! 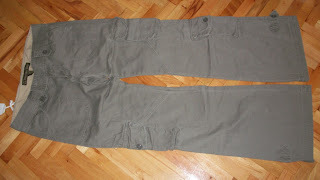 They sent me one Molecule Himalayan Hipster Pants in sunset shadow grey color ($49.99 value) for review. They allowed me to choose it. I ordered the pants in 31'' (XL) size. They also sent me two stickers of their company. In Molecule's Himalayan Hipster Pants you’ll be as comfortable hiking the Himalayas as checking out trendy cafés in durable, stylish, hip-hugging beauties with loose-legged, airy freedom and extra pockets. Choose your adventure palette in green, or stylish solids like black and grey for wilderness or urban exploring. 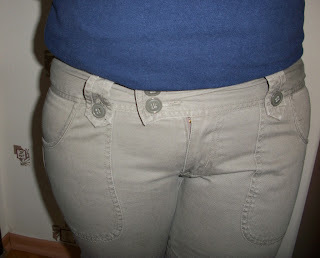 These hispters also have double-button waist fasteners (stylee! ), a button-down pant-leg-base flap, and general style that will make folk talk. These are a slim cut, and with a low rise, aka hipsters. They will be fairly tight on your thighs and low on your hips - if you don't like a very tight fit, please take a size larger than you usually would. These are not for plus-size figures! These are our tightest fit women's hipsters; they look awesome but please make sure you check the sizing before purchase! As I'm losing weight, I chose these pants to wear in the near future after losing a little more weight, because I also love a little tight pants. Right now, it's very tight for me (I ordered it by knowing this), but after a few pounds, I'm sure I'll fit into it very well :) The quality is high and a good number of pockets make it very functional. You may put your wallet, mobile, identity card, etc. in them safely. The light color is also beautiful (I have a jeans in this color, too). The lower part of the leg is a bit long; if you are tall, it's ok, you don't need to do anything, but if you are middle-height like me, you have to shorten it. The thick band on the waist/hip part makes this area look slimmer. If you love such sports wear, I think you should grab it now! It's an ideal pants/trousers to wear in summer with a pair of sneakers. PS: They sell not only women's items, but also men's items! Molecule Clothing is a distinctly Thailand platform for fashion and design. Located in the bustling heart of Bangkok, our factory designers draw their inspiration from the electric energy of the city and its visitors and represent the most promising talent of Thailand's creative explosion. Since being named as "the city's most respected traveller clothes manufacturer", Molecule Clothing has developed into a landmark for progressive design in Thailand. On her recent visit to Thailand, Sasha Mhanarot of Fashion Weekly wrote "Molecule Clothing, the cutting-edge designers from Bangkok, could be a template for the next millennium of Thailand and global style". Molecule Clothing features the best of established 'global traveller chic', with clothes that are specifically designed to a) look good in a wide range of settings, and b) be durable enough to survive through whatever life throws at them. The progressive clientele of travellers, photographers, chefs, musicians, construction workers and artists allow Molecule Clothing to be a living, breathing, changing organism. Molecule Clothing is committed to produce the highest quality clothes for you, my friend. 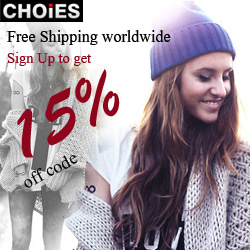 OFFER: any reader can get 15% off any order by liking them, tweeting, and +1ing them. You need to e-mail them after ordering. BUY IT: Men's cargo shorts are between $39.49 - $56.99; men's longer shorts are between $48.99 - $53.99; women's cargo shorts are $29.99; women's longer shorts are between $41.49 - $48.99; men's cargo pants are between $39.49 - $58.99; women's cargo pants are between $41.49 - $49.99; skirts are $31.99; shirts are between $17.49 - $21.49. There are also accessories such as belt, sticker, keyring. WIN IT: One (1) winner will receive any pair of shorts or a skirt from Molecule. Love the kalahari capri long shorts! I like the Molecule Cotton Cult Cargo Shorts! The Cotton Cult Cargo Shorts are great! I like the Molecule Classic Soccer T-Shirt in blue. My favourite item is the Ravenswood Aussie Trucker Polo Shirt. - Judith R.
Hardworking hip huggers are my fav! I like the Molecule Belted Bellbottom Cargo Skirt in Sunset Shadow Grey. I love the Molecule Safari Sidewinder Cargo Skirt in sunset shadow grey. It is so hard to find cute skirts with zippered pockets! I like the classic cargo pants. I like the belted bell botton cargo skirt in field green! I like Molecule Trailblazing Cargo Togs in Desert Khaki Cream. I like the Molecule Radical Roadwarriors Cargo Shorts in Desert Khaki Cream. I like the Molecule Kalahari Capri Long Shorts. I like the bear wild wonderland t shirt. I like the Belted Bellbottom Cargo Skirt. My favorite item is the Rhythm Rockers Cargo Pants. I like the Molecule Sidewinder Safari Skirt in Desert Khaki Cream. I love the Himalayan Hipster Pants. Thanks! I really like Molecule Radical Roadwarriors Cargo Shorts in Euro Camo. I like the cotton cult shorts. Thanks! I'm in the process of losing weight myself, I haven't actually worn a skirt or short in public in almost 7 years. 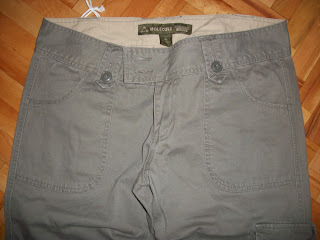 So, I would love the safari sidewinder cargo skirt to get back out in the sun! the Molecule Belted Bellbottom Cargo Skirt! love the himalayan hipster pants! I like the Molecule Coastal Classics Cargo Shorts. I love the Safari Sidewinder Cargo Skirt! I love Molecule Radical Roadwarriors Cargo Shorts! I like the Belted Bellbottom Cargo Skirt in Sunset Shadow Grey! I like the Molecule African Division Elephant T-Shirt. I like the Belted Bellbottom Cargo Skirt, but I'm concerned it might be a little too short. The other skirt (the Sidewinder) is nice, too! I really love the Cargo Jungle Jeans! 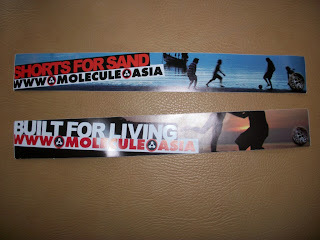 Molecule Himalayan Hipster Pants are fantastic!! I like the Belted BellBottom Cargo Skirt in Grey. I like the Molecule Digital Wrangler Cargo Pants. I really like the Molecule Belted Bellbottom Cargo Skirt! I'd love the Mountain Nucleus Cargo Shorts. I like the Trailblazing Cargo Togs! like the sizeups cargo pants! i love the hard working hiphugger shorts. The Molecule Sizeups Cargo Shorts. I like the Hardworking Hip Huggers. I like the Molecule Belted Bellbottom Cargo Skirt. I like the Trailblazing Cargo Togs.